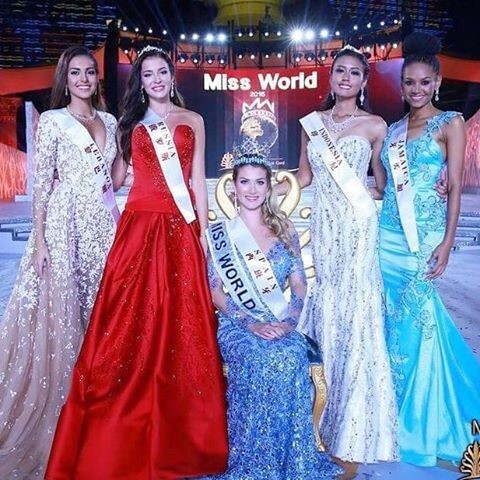 Maria, born on 20th January 1992, was crowned as Miss World Indonesia at the Jakarta International Expo Hall on February 16th, 2015 by the reigning Miss World Rolene Strauss. She has achieved the feat of placing as the Second Runner Up at Miss World 2015; the highest ever placement in Miss World for Indonesia. Her eyes speak of the modesty, humbleness and her genuine personality. 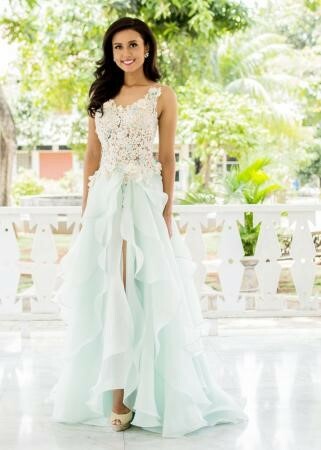 Maria also won Beauty with a purpose award at both the National Level pageant (Miss World Indonesia 2015) and at Miss World 2015. Watching her beauty with a purpose presentation left us teary-eyed. She quotes in one of her Facebook posts: “Share everything that you have with people around you. Use your potential to help those in need. Because we are so much more than the looks. We’re fearfully and wonderfully made to not just exist in this world, but to make a difference.” She embodies the true spirit of community service. In another post, she writes “Do everything with so much love in your heart that you would never want to do it any other way.” Truly passionate, she is! She has been quite active in social activities since her early days. She was an active part of organizations like AIESEC and Himpunan Mahasiswa. 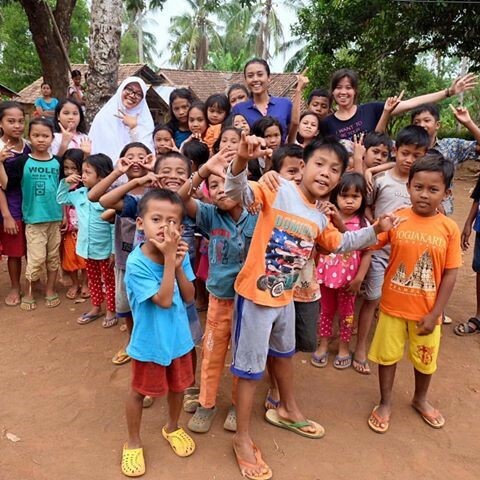 She was chosen to be the Indonesian delegate for a project called as Hope of the Future in Southwest China, a project that aimed to empower the children to fulfil their dreams. She’s truly an ardent social activist driven by the desire to serve the mankind. .She loves to read. She’s a fan of fiction books like Harry Potter and The Lord of the Rings. 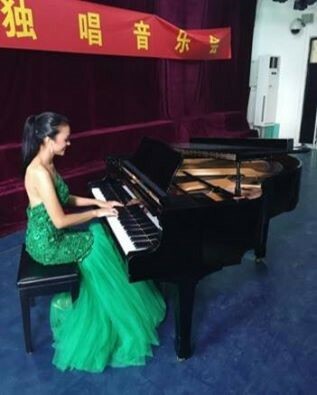 She was a choir pianist since she was 16 years old. She loves singing and playing piano and the organ. No wonder she was Top 13 in talent round at Miss World. Maria was also in Top 10 of World Designer Award. She was in Top 7 of Interview Round and Top 15 in The Multimedia Fast Track as well. It was such a great performance from Indonesia for the first time in the history. Indonesia must be proud of her! Soon she will crown her successor; her reign as the Miss Indonesia shall end, but the everlasting impression she’s left in everyone’s mind shall remain carved forever. It was her devotion and heart felt desire to serve the humanity and work for the cause of Beauty with a purpose, that led her to achieve the feat of placing as Second Runner Up in Miss World 2015. She outshined many gorgeous front runners by her dedication, hard work and a beautiful heart. This lady deserves every bit of fame and respect. Certainly a gem that Indonesia discovered. 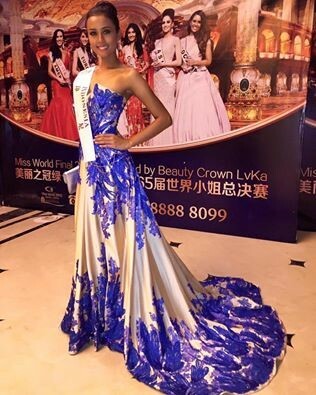 Miss World is coming soon to Indonesia.